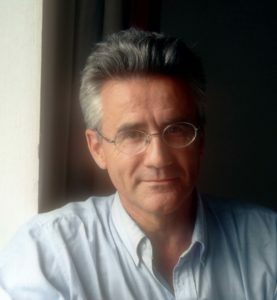 André Comte-Sponville is one of France’s preeminent contemporary philosophers. Born in Paris in 1952, he received a doctorate in Philosophy from France’s prestigious Ecole Normale Supérieure and also received a degree, with honors, from Belgium’s Université de Mons-Hainaut. He spent many years teaching at the Sorbonne and now devotes his time fully to writing and lecturing. Comte-Sponville is a familiar face on French television, having participated on both cultural shows and the evening news (a guest of Bernard Pivot, Christine Ockrent, Patrick Poivre d’Arvor and many others). He has also been a regular contributor to France’s most widely read newspapers and magazines, including L’Express, Le Nouvel Observateur, Le Monde and Le Figaro. He has guest edited special issues of the Revue internationale de philosophie – devoted to Montaigne, Pascal, and Alain – and has organized innumerable university conferences. 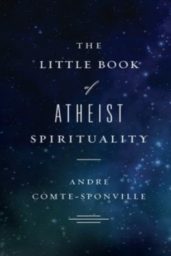 A rationalist and humanist who shies away from any form of dogma, Comte-Sponville’s most recent work has attempted to define a working wisdom for the modern world, Comte-Sponville’s A Small Treatise on the Great Virtues was an international bestseller translated into twenty-five languages, and his latest, The Little book of Atheist Spirituality (Viking US), was praised by the Washington Post as “a wonderful, short book”.